If you've been reading this blog for a while, you know that I am a Bulova watch junkie. All of my good watches, both casual and dressy, from my college graduation on, have been Bulovas. They are high-quality timepieces that hold their value well, and I love the Bulova style. If you gravitate towards more classic looks, you'll know what I mean. 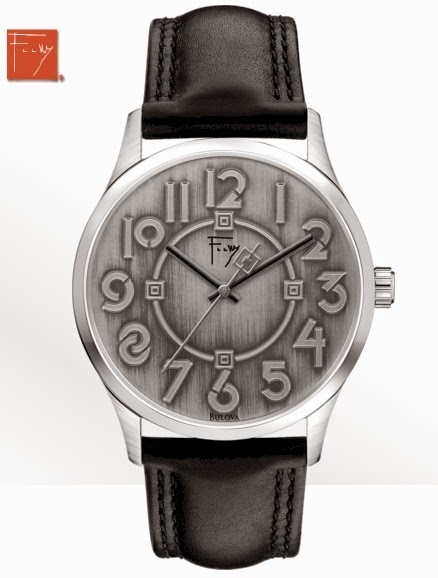 Amazon has got this men's Bulova Frank Lloyd Wright Exhibition watch on Amazon for just $69.00 with free Prime/SuperSaver shipping and free returns. The design on this is a blending of two distinctive styles, Frank Lloyd Wright for simplicity and cleverness of lines and angles and Bulova for classic-looking, well-made materials. Like other Bulova signature watches, it's both a very functional watch (water resistant, quartz movement) and a work of art. Here's a little background about this watch's design from the Bulova website, where this watch is priced at $100. Frank Lloyd Wright (1867-1959) is recognized as one of the world’s greatest architects. His work heralded a new thinking in architecture, using innovations in design and engineering made possible by newly developed technology and materials. Officially licensed by the Frank Lloyd Wright Foundation, Bulova’s Frank Lloyd Wright® Collection uses significant motifs from the work of this American giant to reflect the poetry and beauty of Wright’s interior design objects and decorative elements.